This post originally appeared in The Texas Tribune’s Trib Talk on March 23, 2015. In 2013 my daughter, Kiera, was diagnosed with cystic fibrosis. Despite her illness, Kiera, who is 5 years old, is a normal kid who wants to do normal kid things. In fact, children with cystic fibrosis are in many ways healthy and normal. They play sports, ride their bikes, have sleepovers and go to school. But unlike most other children, their health is fragile, and illnesses, particularly serious infections, pose a substantially greater risk to their health. Like all parents, my husband and I would do anything to protect our child from danger or harm. And while we may want to shelter Kiera from the dangers of the world, we know we can’t protect her from every potential risk. But I take my responsibility to protect my daughter and her health very seriously. Unlike some other medically fragile children, my daughter can be and has been immunized. But even with these vaccines, she is still much more likely to become infected, with potentially fatal consequences. If friends or family members are sick, we ask that they not come to our home. Our family is careful to limit our daughter’s exposure to situations and places where she might become exposed to infectious diseases. We ask for no special accommodations, merely respect for the realities of our daughter’s medical condition. And my daughter is not alone. Thousands of children throughout Texas cannot be immunized or are still at risk for disease even with immunizations. In recent years, a quiet threat to our daughter’s health — and potentially to her life — has emerged. As more parents choose not to vaccinate their children because of fear, misunderstanding or willful ignorance, the threats to my daughter grow. The decision of other parents not to vaccinate their children threatens the lives of children who cannot be vaccinated and who are medically compromised, like my daughter. Texans who choose not to vaccinate their children tend to live near one another in neighborhoods and communities. This clustering also concentrates unvaccinated children in specific and fixed locations, like public schools. In Texas and across the country, outbreaks of infectious disease center on these pockets of under-immunization. Under Texas law, parents who choose not to vaccinate their children are required to report that choice to their public school. However, school districts are not required to report detailed information about campus-level immunization rates. The best available information parents like me have concerns district-level, not campus-level, immunization rates. This does me no good as I seek the best and safest school for my daughter. This legislative session has included much talk of “school choice.” As the parent of a child with cystic fibrosis, I want school choice, too. I want the ability to choose which school has the highest immunization rates. I want to choose the school where my daughter is least likely to contract an infectious disease that could hurt or even kill her. State lawmakers are currently considering legislation by Rep. J.D. Sheffield, R-Gatesville, that would make campus-level immunization information available to Texas parents. No privacy will be violated, and other parents and I will never know who in our children’s schools has or has not been vaccinated. Parents of medically fragile children thank Sheffield for understanding our concerns and for fighting for our children’s health and lives. I respect the rights of parents who choose not to vaccinate. In return, I simply ask for their respect for my right to know the school where my child will be safest. This request is not only reasonable but also literally the least that our vaccine-hesitant neighbors can do to protect others from their choice not to vaccinate their children. 2. Share this video from Texas Children’s Hospital with a friend. Stories can be a powerful way to demonstrate how important vaccination can be. 4. Send an e-card to show your friends/family/coworkers you care about their health and want them to get vaccinated. The CDC has a whole host of great ones to choose from. 5. Help your yet-to-be-vaccinated loved ones know where they can get a flu vaccine by visiting the Vaccine Finder. 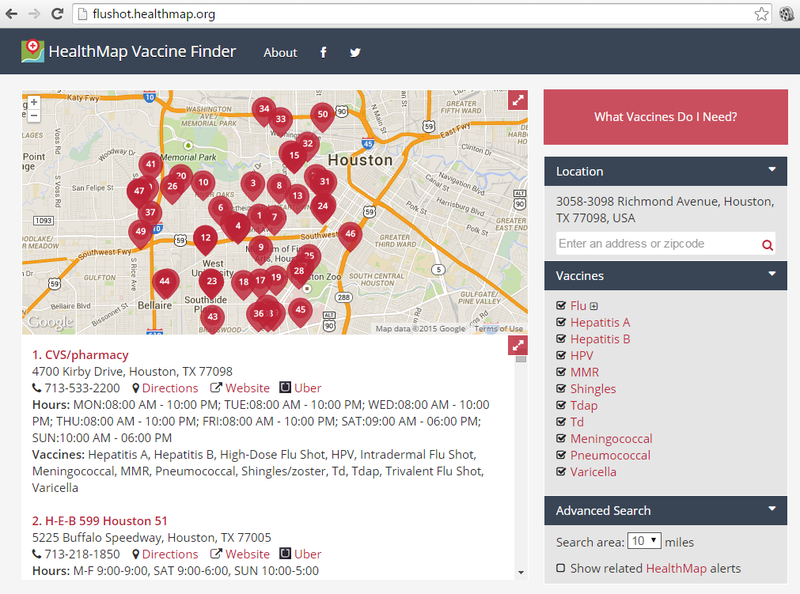 Just type in your zip code to find vaccination locations near you. What are some resources you’ve used to #FightFlu so far this season? Let us know in the comments below! 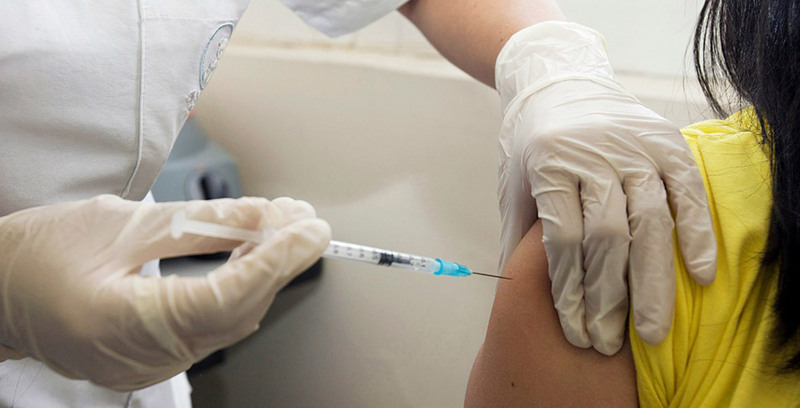 In the wake of the Disneyland measles outbreak, there’s been a flood of news stories talking about the disease and, subsequently, vaccination. Stats have been cited. Policies have been debated. And a flurry of angry op-eds have cropped up arguing about the balance between choice and obligation. It’s an important conversation. It’s great that we’re opening up a national dialogue about recent trends in immunization and how we can better protect our communities from preventable diseases. But beyond the bold headlines, striking infographics, and talking heads are real families who are being impacted. Measles can be very, very serious. While thankfully no deaths have occurred yet during this year’s outbreak, it’s not that uncommon in other parts of the world. In fact, measles killed more kids worldwide in 2013 than car accidents or AIDS. Despite having a safe and effective vaccine, it’s still a leading cause of death in young children across the globe. And even for those who survive, measles can leave them with a lifelong disability or even come back to cause an unexpected and rapid decline years later. With the recent flurry of headlines and statistics, it’s easy to forget that real people are impacted by measles every day. But their stories are important. They remind us why we should be vocal about our support for vaccines. Why we need to encourage our friends and family to make sure they are up-to-date. Why we must continue to be advocates. So that families will never again have to go through what Rachel’s family went through.